Being in shaleah (beach house) this weekend and seeing all the teenage kids on the beach, I started thinking about a common parental concern. How much involvement with your teenager is too much? 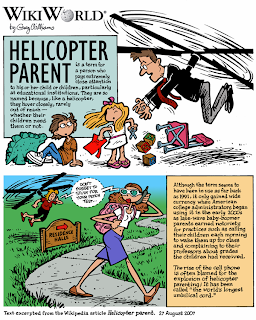 My thoughts went to the "Helicopter Parent" term, coined for parents who exercise too much concern and attention over their child. 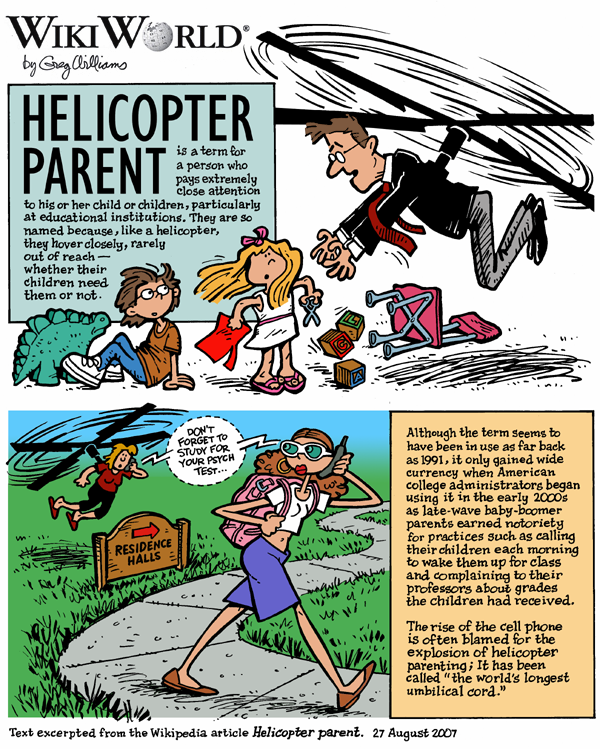 They "hover" over that child, not allowing the child to experience any sense of autonomy nor growth. Teenagers do need their parents, but they do not want to be forced. To understand this dynamic try to envision your toddler's favorite game of "catchers". Your toddler learns the playful nature of running away from you, but the part that is equally important is that you will catch him. If parents fail to catch their child, he may get scared, or lose interest in the game. Teens also need to know that even if they separate from their parents by hanging out with friends or experimenting with independent action, the parents will still be there. Allow them to gain their independence, but make sure you are available when they need your reassurance, help and guidance. Allow your child to make mistakes, this is how s/he will learn. Be there to help come up with ways to remedy the mistake. Make firm rules and guidelines, do not expect your child to "just know". Invest in your child's interests: Know about their love for shows like "Wizards of Waverly Place" or the songs of Justin Bieber. Try to support their activities by cheering on their sports games, or helping with an art project. Do your own research (about video games, songs, movies, shows, etc). You may think all programs on children's networks are "safe", but many are age inappropriate or culturally different. You do not have to stop your child from viewing these shows, but do explain those differences and reasons behind the difference. Make the time to catch-up with your child on a one-to-one manner. Be involved in their friendships: Have your child invite friends home and have your house be the space they can express themselves in, instead of having to hide and put themselves in an unsafe environment.